Wanted – A wife. Must be between 40 and 65 years of age, sound of wind and limb, and of cheerful nature. I have comfortable home to offer and am eligible for old-age pension. 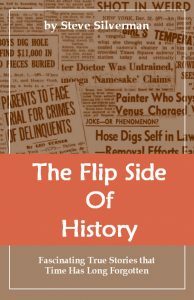 See or write Ezra Worden, Three Lakes, Wis.
That was the ad that Ezra Worden wished to place in the classified section of the Rhinelander Daily News, but its editor decided that he was worthy of a complete story in their October 11, 1935 issue. At the time Ezra was 74 years of age. He claimed to be in excellent health and said that he had recently picked 700 bushels of potatoes and during the last blueberry season he garnered 350 quarts of berries. He had been married twice before, his last marriage lasted thirty-seven years, but both wives had died. Over 400 women from all over the country responded to Ezra’s request, but in the end he chose 52-year-old Mrs. Maggie Cornwall. She was twice widowed and lived nearby in Crescent, Wisconsin. The two were married on the evening of November 5, 1935 in a ceremony that was witnessed by hundreds of people. A dance was held at the Three Lakes school gymnasium and the happy couple was left to live the rest of their lives together. You betcha. 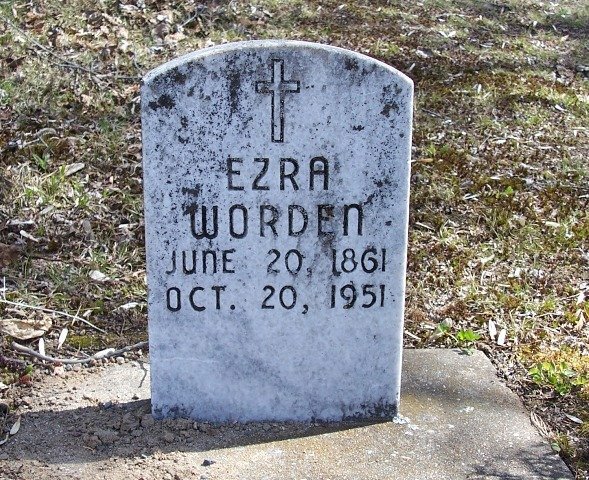 When Ezra Worden died on October 20, 1951 at 90-years of age, the couple had been married for nearly sixteen years.